Digging in your sides, sliding of your shoulders, chafing — ill fitting sports bras can be the worst. Frankly, a well fitting bra is important all the time. But, it's especially important when doing physical activities. No one wants to deal with bra issues while trying to work out. According to expert bra fitter, Kimmay Caldwell, an improperly fitting bra can cause irritation and discomfort. "Breast tissue is delicate and can stretch easily," she said. "It's not made of muscle and you can't work out in order to rebuild it. So, taking care of it by making sure it's supported during exercise is key if you want to take a step toward maintaining shape and lift." 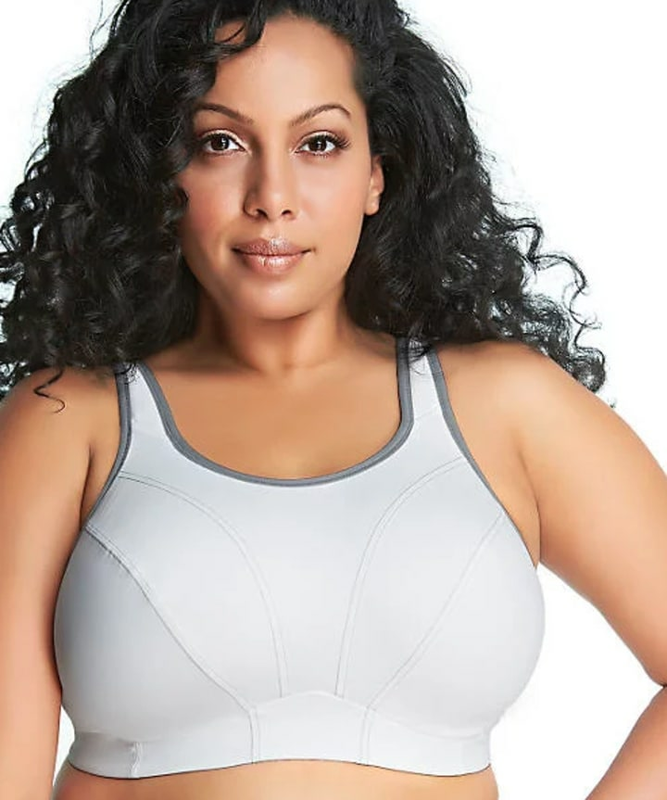 As a woman with a larger bust, it can be a struggle to find sports bras that are comfortable and supportive. Most retailers only carry up to a 36 or 38 band size and a D or DD cup, which just isn't enough for a lot of women. I have been professionally measured at a size 34H, but I usually wear a 36DDD simply because that's the closest size I can find in stores. So, I asked Caldwell for some suggestions! Get measured by a professional: Getting a great fit under the bust (the band) and in the bust (the cup) is the first step. "I highly suggest a sports bra that comes in bra sizes, instead of small, medium, large," said Caldwell. "You can really ensure that the band and cup fit your body proportions that way." Consider a bra without underwire: "Keep in mind that if you are doing a lot of bending or stretching, something without an underwire and with more stretch is best," Caldwell said. 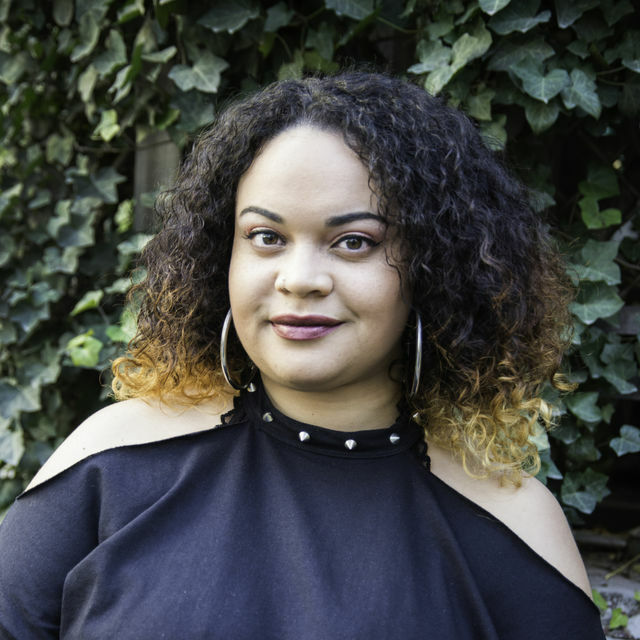 Consider going a size up: "Sports bras tend to run much tighter than regular bras, mostly because they are made with much firmer materials and are less stretchy," Caldwell added. Lastly, if you are creating a regular exercise schedule, Caldwell advises having several sports bras in your arsenal — especially since you'll be washing them after each use. And speaking of washing, you should try hand washing and air drying sports bras with a delicate wash made for lingerie. Since they're mostly made of elastic, this will keep the bra stretchy and your bust lifted. Caldwell notes that a plus-size sports bra is one with a band size that typically runs in a 38 and up. Here are her suggestions for the best sports bras that offer a larger band size. Also available at Bare Necessities. 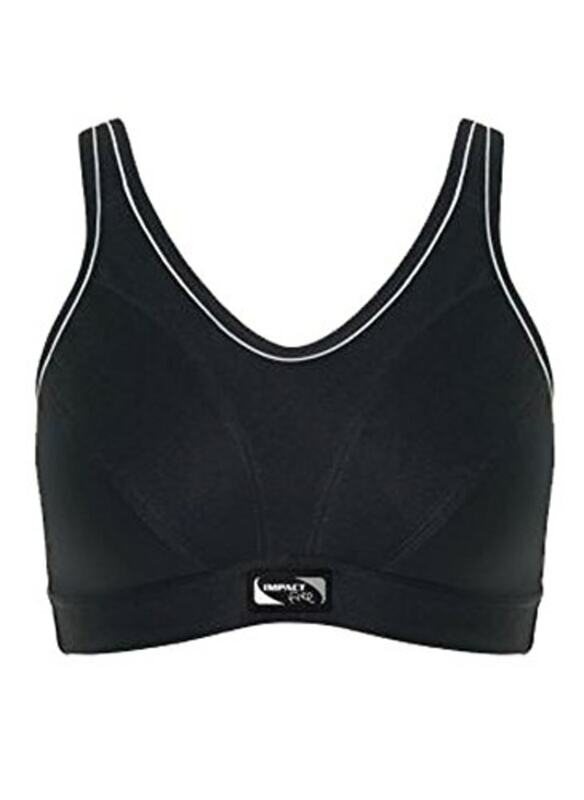 This sports bra is available in a variety of colors and it goes all the way up to a size 40E. It's supportive, without the underwire, and it's built for high-impact activities. This goes up to a size 44H. It features full contour, no-bounce cups and moisture wicking fabrics. This bra goes up to a 48 band size and an I cup, so it has a really great range for curvy women. It's best for mid-impact activities, such as cycling. Also available at Her Room. 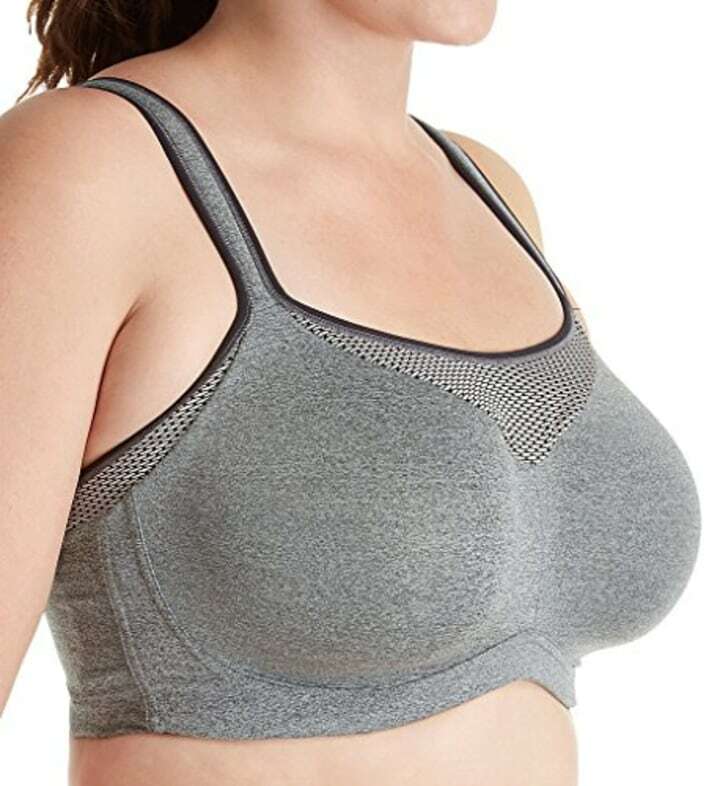 This plus-size sports bra features three section cups, plus side panels for forward shape, good uplift and separation. It is unpadded and it does have underwire. It goes up to a size 46DD. Here are a few more sports bras that Caldwell suggests giving a try if you have a larger bust, but not necessarily a wider ribcage. Although many of these styles go up to a 38 or 40, they also come in sizes that work well if you are not plus-size in the band, but still have larger breasts. This style goes all the way up to a U.K. size 38G. The cups have a soft seamless microfiber lining, which is also quick-dry and breathable, according to the manufacturer. 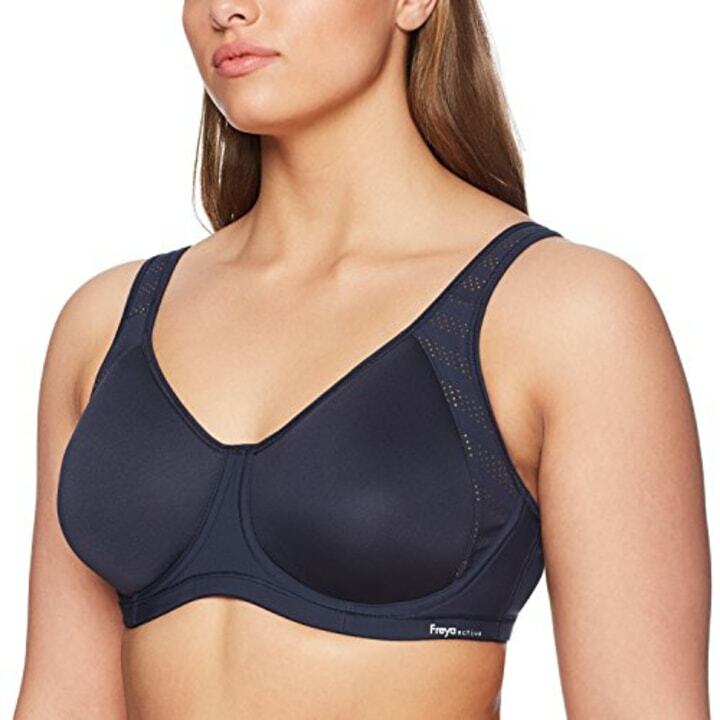 This sports bra features encapsulated cups for support, nonslip cushioned straps, a breathable mesh between cups and a padded underwire. It goes up to a size 40GG. This Freya sports bra goes up to a size 40G. It has adjustable straps, breathable foam-lined cups and an underwire. This bra goes up to a size 40FF. It has a breathable all-cotton body with self-lined cups, a wide elastic underband and padded straps, according to the manufacturer.